Milton Black, MIOF, MAFA, is a professional astrologer- numerologist who has been involved with astrology for 41 years. He is a federation member of the Australian Astrologers Association, the Astrological Society of Great Britain and the International Society for Astrological Research in Europe. Milton is reported to have the largest full time, private consulting practice in Australasia, with an international clientele exceeding 678,000. His website www.miltonblack.com.au attracts in excess of 31,000,000 hits annually from all parts of the globe. 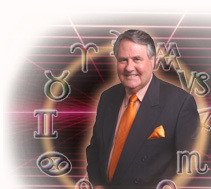 Milton Black is rated as one of world’s most sought after professional astrologers. His popularity with readers and Internet users lists Milton Black in the top ten admired astrologers worldwide (published by Australia’s Sydney Morning Herald, 2001) and rates in the Top Ten websites though “Hitwise Australia” in 2005-8. Milton Black is renowned for his uncanny and accurate forecasts on world markets and economics. Many a politician, economist and trader has visited his website and read his annual newsletter (What’s New) concerning future global political and economical trends, including subsequent stock market directions and possible overtones. Milton presently writes the monthly Moon Planting Guide for “Better Homes and Gardens” and the weekly astrological column for the Khaleej Times Magazine in the United Arab Emirates. His articles have also featured in Australian Woman’s Weekly Health magazine. Milton has been associated with “New Idea”, writing his weekly astrological and numerological feature for a period of 16 years. He also wrote the weekly numerological column for “Woman’s Day” for a period of ten years and previously the weekly stars column for “Family Circle”. Milton also predicted the weekly global stock market trend and investment tips according to the stars in his column with John Fairfax Money Manager F2 Internet services for a period of four years. Recently, “Woman’s World, USA” published a two-page spread, introducing Milton’s own Australian “Dreamtime” Horoscopes to readers. Milton's first introduction to national radio and television was in 1974; he was invited to appear as a regular guest on the then ever popular "Mike Walsh Show”, Nine Network. 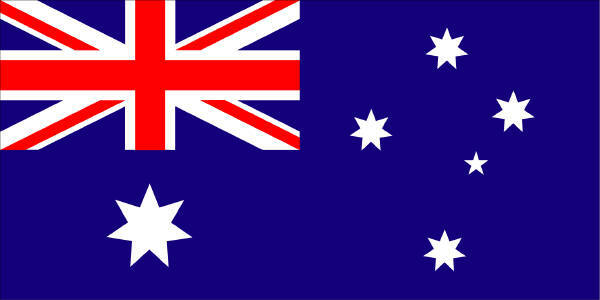 Followed with appearances on popular television shows such as the "Don Lane Show” and “Today Show”, Nine Network, “11 AM” Seven Network, "Midday Show" with Ray Martin, Derryn Hinch and Kerri-Anne Kenner ley Nine Network, “7.30 Report ABC”, "Good Morning Australia" with Bert Newton Ten Network, Current Affair Nine Network, Sunrise and Today-Tonight Seven Network. Milton also co-produced and hosted his own popular weekly local television show in the eighties, "Black and Beyond", with Capital Television, Canberra, ACT. Milton was associated for two years with the “Susie Elelman” one-hour daytime variety show on WIN Television Network throughout regional Australia, presenting his weekly star guide and topical astrological comments on “Susie’s Show” a popular feature with viewers. Milton also appeared on the “New Idea” TV magazine show, a daily afternoon program on Network Seven throughout Australia during 2009. Milton has appeared as a guest on many international media stations in UK and USA, including most national and independent television and radio stations throughout Australasia. Milton was for three years involved with “Sport &Talk” radio in London, England with his monthly astrological, political talkback with Howard Hughes and listeners on the Saturday night live show, “Howard’s World”, reaching 2,000,000 listeners. Milton contracted for a period of four years with Capital Radio Network 2CC 1206 AM Stereo, 2GN Goulburn and 2XL Snowy Mountains, presenting his top rating syndicated talk-back, astrological variety show, "Black and Beyond", Sunday's 9.00 AM until Midday. Milton's weekly guests included well known Australian celebrities, international artists, sports personalities, federal and state politicians. His broadcast reached a regular weekly listening audience of around 480,000. Milton continued to reach Australia wide through ABC Radio and also commercial satellite transmissions out of the DMG Commercial Radio Network and 2AY Albury, reaching a total listening audience of approximately 1,200,000. Milton has now teamed up with “Stream Live Limited” in the UK and USA and has introduced his live telephone forecast, direct to clients around the globe. Milton’s website of 167 pages also features many free applications for those web users interested in astrology, numerology and tarot cards. From 2000 - 2005, Milton wrote the yearly zodiac guidebooks for international publishers Harlequin, Mills and Boon; his sales totalled in excess of 490,000 copies per year, throughout Australia, New Zealand, France, Belgium, Switzerland, and Asia. Milton presently writes for New Holland Publishers with his yearly 488 page “Astrology” now selling globally. He wrote “Dreamtime Astrology” in 2000 and was a co-author of the 447-page coffee table edition book “Astrology under the Southern Cross” with Random House. Milton has been presented with two Australian book awards for his contribution to astrology and received six website awards, including a “Hall of Fame” award from the Australian Astrological and Metaphysical Association. In 2001, Milton was invited by the Australian Centenary of Federation Council of Australia to participate as a contributor in the Australian 1901-2001 Peoplescape exhibition at Parliament House Canberra, Australian Capital Territory. In April 2002, Milton Black was invited to submit his biography for the Australian edition of “Who’s Who” which continues to be published annually, for achieved distinction in his field. In 2007, Milton was made the roving ambassador for Lupus NSW to raise funds for the charity. Milton is also very much in demand and available as a guest speaker, entertainer for corporate seminars, social clubs and conferences, media interviews and private consultations.